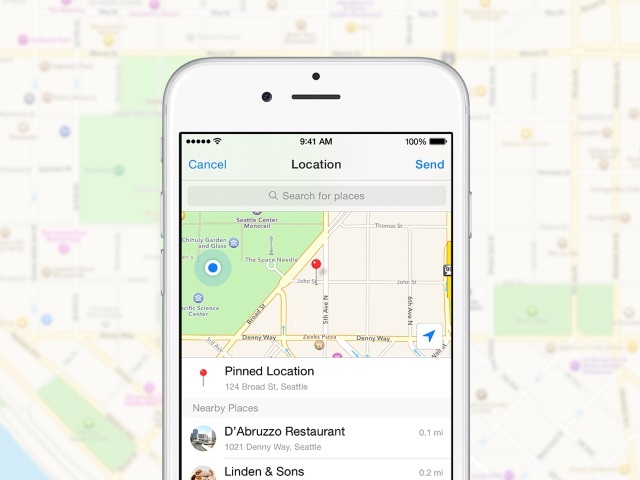 Why type out directions to your friends on Facebook Messenger when you can just send a map? The social network introduced a new, “completely optional” way for Messenger users to share their locations with their friends, allowing them to send maps as separate messages. Over the past few months, we’ve been working on a brand new way to send a location as part of a conversation in Messenger. Today, we’re excited to start rolling it out in place of our previous location-sharing feature. Now you can choose to explicitly send a map of your location or another particular place as a separate message. Sending a location is completely optional. Nothing is changing about how we receive your location information. You might want to make reservations. How are we all getting there? Maybe there’s a transportation service somehow. I didn’t say that (Facebook would build on Uber’s application-programming interface), but that doesn’t mean I don’t like what you’re saying. We definitely are very excited about everything that’s going on in Asia when it comes to messaging. There are tons of awesome experiences that companies like WeChat or Kakao or Line are enabling, and we are big fans of that. Readers: What do you think of the new feature for Messenger?